Introducing an awesome new feature that will allow you to automatically store all contact emails in OnePageCRM via email sync. 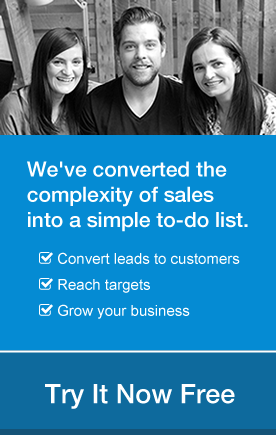 This includes both sent and received emails from your contacts within the CRM. The integration is really smart. We will only pull emails to and from contacts you already have in OnePageCRM. You do not want to share your private emails with your colleagues, right? If however, you receive an email from a new prospect you can easily create a new contact in OnePageCRM, using our Bcc Email Dropbox feature. 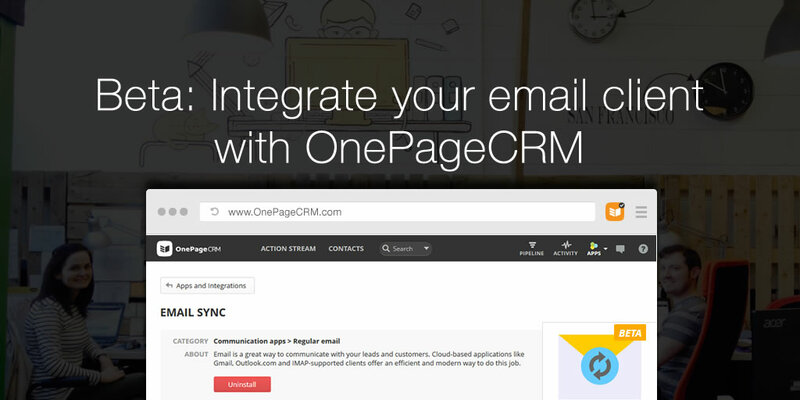 At the moment, OnePageCRM connects to Gmail or Google Apps email accounts as well as Hotmail, Outlook.com and any IMAP account ( e.g Yahoo, Apple iCloud or your business domain email account configured on your email client e.g. Outlook). However, if your email account is on an Exchange Server you might ask your IT administrator if it’s IMAP support is enabled – if yes, you can use it without any problems. Remember that if you want to see other team members’ correspondence with a contact they will have to enable the integration on their accounts. Without it, only your correspondence will be visible in OnePageCRM. Note that for privacy reasons we do not pull correspondence sent / received prior to the moment you enabled the integration. this integration works perfectly well with Outlook 365. And remember – our team at support@onepagecrm.com just wait to answer all your questions in case of any issues! hi, just new with Onepage and on the free trial and so far awesome – i was playing around with One page this afternoon and thinking how good if i can get contact emails into the system and bingo receive this post! Can we try this integration while on trial? ps we are in the construction industry and many of our emails have attachments; plans etc – will these come across?? When I click on apps, instead of Add/Remove apps I get "apps and integrations" and later no mention of email integration. Just the email dropbox. Can we set enterprise email as primary email client? It’s very very slow to open onepagecrm.com in China, could you guys solve that? What email client do you use in the business? Can you email support@onepagecrm.com and I’ll pick it up there. Thanks for your feedback re site speed. We will have our dev team look into it.